What is Real Time Pain Relief business opportunity? Is Real Time Pain Relief A Scam? What are the product, business model, and compensation plan? You’re probably asking many questions about this matter. Let’s take a look and get real about the answers. What Is Real Time Pain Relief Business Opportunity And How Does It Work? Real Time Pain Relief was founded by Tim Flatt, its current chief executive officer. The company is involved in multilevel marketing activities with topical pain relief creams as the main products. These creams are marketed as the next best thing to sliced bread – or at least, the answer to the pain issues suffered by millions of Americans. According to the company, all its products are made with natural ingredients, as well as free from potentially harmful harsh chemicals. These chemicals include dyes, parabens, and SLS, among others. The choice of ingredients is supposed to provide extraordinary results for the products’ users. The products are sold across the United States. The ingredients include aloe vera, arnica, menthol, capsicum, and willow bark, to name a few. The products are touted as non-greasy, fast-absorbing creams formulated to deliver soothing pain relief just a few minutes after application. Authorized distributors are allowed to buy the anti-pain products at wholesale before selling them at retail prices. Selling the products offline and online is allowed for this reason. The compensation plan offered by the company is explained below. The company doesn’t actually provide interested individuals with a formal and official compensation plan. Instead, the official website offers a single-page overview coupled with several short promo videos. This isn’t such a great point because savvy businessmen want to take calculated risks. You can’t do so when you don’t have the relevant facts on hand. You may, nonetheless, be able to get more information via the weekly webinars. Based on my research, here are the things to know about the compensation program. The company has four programs, namely, vendor, merchant, practitioner, and pet care professional. Again, there isn’t much information about these programs. But we can surmise a few things. For example, the vendor program is suitable for people who want to sell in the local markets. The merchant program is best for businessmen with a physical location to sell the products. We can only surmise that the difference in prices is in the type and number of products included in the package. Such an assumption is made because the company doesn’t provide sufficient information in this matter. But there’s also a few good things about the company’s business model. There is no auto-shipping requirement to meet and no quotas to fill. You just have to pay the $99 for the sampler package, for example, and you’re basically set for an entire year. You will also get products that can be sold at retail for a profit. You then have higher chances of recouping your investment, a good thing considering that there are dozens of scams in the market. Retail commissions can be earned from both customers and recruited persons using a 7-level tiered payout structure. This means that every customer and recruited person will go into your single downline. From a retail viewpoint, this is such a cool thing because you’re earning commissions from both your direct customers and on your customers’ customers, too. This is known as the Unilevel MLM downline structure. You’re on top of your organization, which is 7 levels deep although its width is as large as it can be. Your commissions on product sales can range from 1% to 6.25% depending on the level. 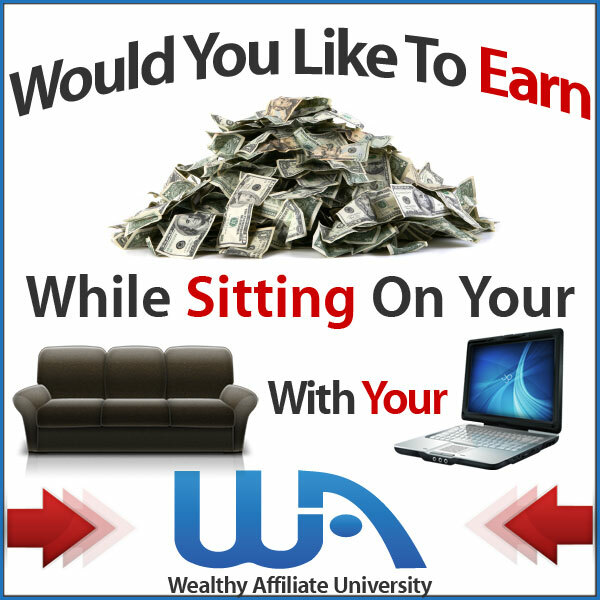 Whatever the monthly income of your recruited affiliates, you will get a cut. This can range from 25 t0 100% commission based on your downlines’ total sales volume. You can receive up to $500 a month depending on the number of customers who buy your products. You can get a $25 bonus for 10 new customers and $250 for 200 new customers, for example. For every recruited affiliate, you will receive a $10 commission. You can make dozens of $10 commissions per year since the company applies a free sample business model. If the compensation plan is what it says it is, then you can make good money provided the right time, energy and money are poured into it. Who Is Real Time Pain Relief Business Opportunity For? This is obviously geared toward men and women who want to enjoy higher income aside from their 9-to-5 salaries and/or other home businesses. You can only have vendor training online via videos only. This is such a bummer considering that sales and marketing in the digital world have more challenges and complications. The Real Time Pain Relief business opportunity is also a good one. You have a useful product to sell and promote, as well as an apparently good compensation plan. You may even be able to make a good income from it. But why settle for “good” when you can enjoy “great”? You must check out here the exact formula I followed, an affiliate marketing company with dozens of well-known products and services. You can also avail of the best training, tools, and support for your business success. I personally have tried Multi Level Marketing and Affiliate Marketing and found out works best for me. See picture above for further clarification. I hope you enjoy reading my RTPR review and gain some sight about this company. Now I would like to ask your favor to provide your some feedback if you happens tried this company before be it their products or their business plan before. Of course, if you need a hand from me for your online journey feel free to reach out to me. I am more than willing to help you out. Thank you for sticking this post till the ending part. thanks fro your review it really helpful. we are tide of pain killers and if it will work perfect why not. i like the non-greasy products and if it relief fast pain just a few minutes after application then i will make a try. What I could say is RTPR has high-quality ingredients products that work well and helping people suffer from pain. Thanks Collins for recommending to your friends. Real Time Pain Relief Business opportunity is interesting. I read through the information and it sounds like a great opportunity for many. I did continue reading and arrived at WA and read the information there. Sounds like a great opportunity and you seem to be doing well yourself. It is something that I will give serious thought to and know where to go to learn more. Sounds like many have really like the opportunity. Yeah, Thanks for your time reading and spend time explore further opportunity-Wealthy Affiliate. I have been following what has ben taught by WA and never looked back ever since. It’s just an awesome platform for everyone that wanted to earn legitimate money online while pursuing their dream. The business plan, model, product, and owners for what I would look for in a Networking company work well for me. However the committment to the process and the overall scheme of the multi-level industry while appealing does not fit my overall strategy, as I’m sure many are in the same position as myself. Thanks for the informative review. No problem at all and I am happy you find this informative. Take care my friend and I wish you all the success.